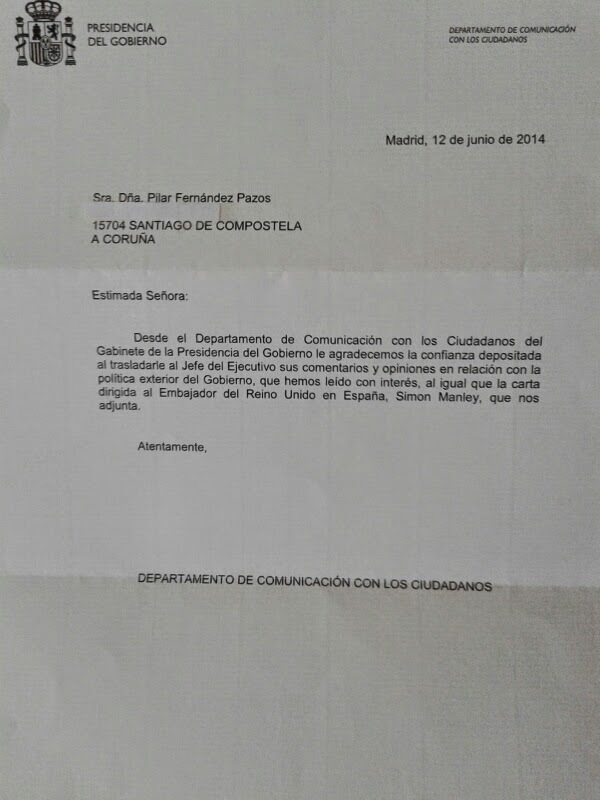 Hoxe mesmo recibín resposta á miña carta enviada a Mariano Rajoy. A resposta envíana o Departamento de Comunicación cós Cidadáns da Presidencia do Goberno. Today I received the answer to my letter to Mariano Rajoy. 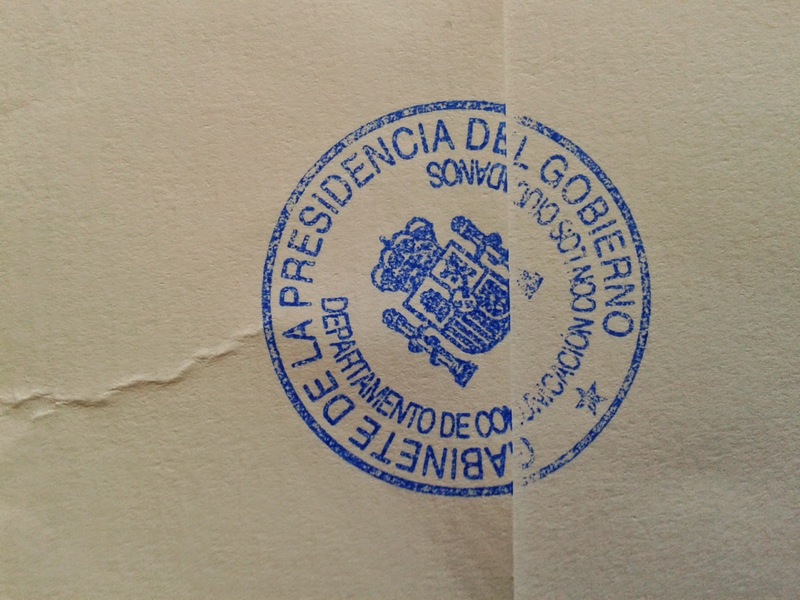 The answer came from the Departament of Communications with Citizens (Office of the President). From the Department of Communication with Citizens of the Office of the President we would like to thank you for the confidence of communicating your comments and opinions with regard to the external affairs of the Government to the Chief Executive, that we have read them with interest, as well as the letter sent to the British Ambassador in Spain, Simon Manley, which you attached for us. 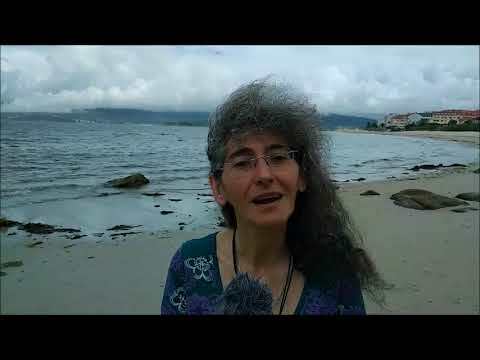 A miña valoración dende a sorpresa de ter recibido resposta do Goberno español, é que todo o traballo de solidariedade que levamos adiante mediante a Campaña Solidarity with Scotland está tendo un efecto. Anímovos a continuar publicitando a campaña, a participar enviando ás vosas cartas ás Embaixadas británicas e mandando mensaxes de apoio, ou fotos co noso logo da Campaña. Quedan menos de 100 días para a realización do referendo e xa somos parte dese fabuloso movemento que apoia o YES á independencia escocesa, porque A SOLIDARIEDADE ESTÁ NO ÁR! My assessment after the surprise of having received an answer from the Spanish Goverment, is that all the solidarity work that we are doing through the International Campaign "Solidarity with Scotland" is having some effect. I encourage all of you to keep spreading the word, participating by sending your letters to the British Embassies and sending us your messages of support or photos with the logo of this Campaign. 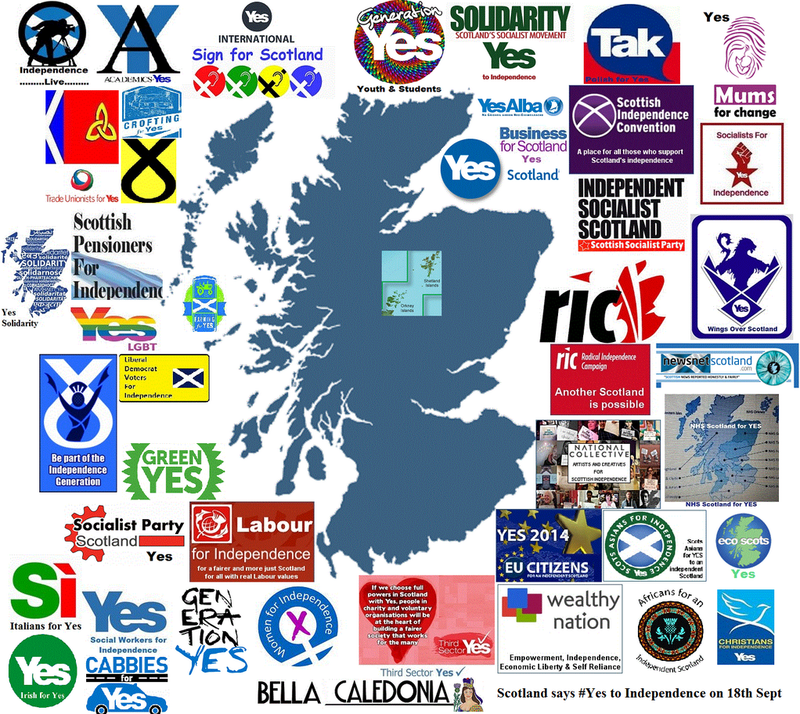 There are less that 100 days to go and we are already part of this fantastic grassroots movement that supports the YES for Scottish Independence, because SOLIDARITY IS IN THE AIR!